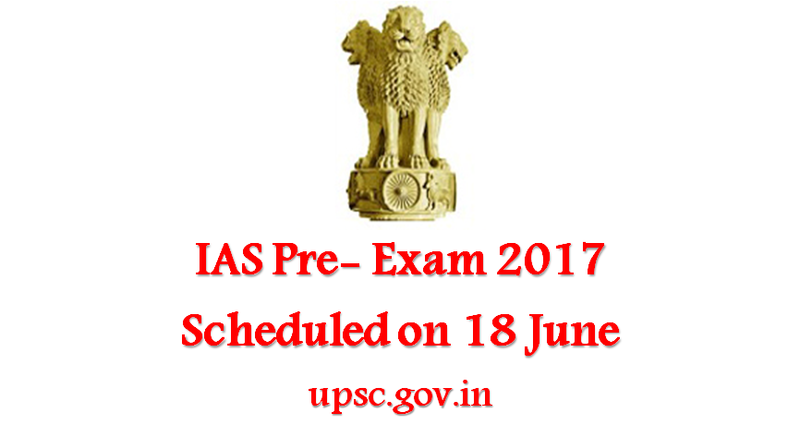 Apex examination body UPSC preponed IAS exam 2017 to be held in June, rather than its ealier notified schedule in August. As per UPSC, the objective of this ealier schedule to complete the whole selection process within the stipulated time frame. The Commission has scheduled the IAS prelims exam on 18 June 2017. IAS aspirants will have to gear up their preparation as the prelims exam has been preponed by a month. Unlike the trends of last three years, the forthcoming IAS exam will start a month earlier. In response to this change, Union Public Service Commission stated that the only objective for conducting the exam a month earlier is to ensure timely completion of all the examination procedures. This will cut short the long wait of all candidates who appear for the exam. UPSC Civil services exam receives overwhelming response every year. Considered to be one of the toughest examinations, UPSC recruits eligible and fresher talents every year to the top notch bureaucracy of the country. Every year lakh of applicants submit their consent for appearing in the examination out of which the Commission sieves out the best lot. UPSC implements strict selection procedure for Civil Service Exam. The exam is held in three different phases: preliminary exam, main exam and personal interview. About UPSC Civil Service Exam: Union Public Service Commission, the exam conducting body of civil service exam is one of the biggest governing organizations in the country. The Commission is involved in conducting recruitment procedures for appointing candidates to different services of the Union. UPSC conducts civil service exam every year for recruiting candidates to Indian Administrative Services (IAS), Indian Police Service (IPS), Indian Foreign Service (IFS) and other leading administrative services. It also appoints officers on promotion/ deputation/ absorption.